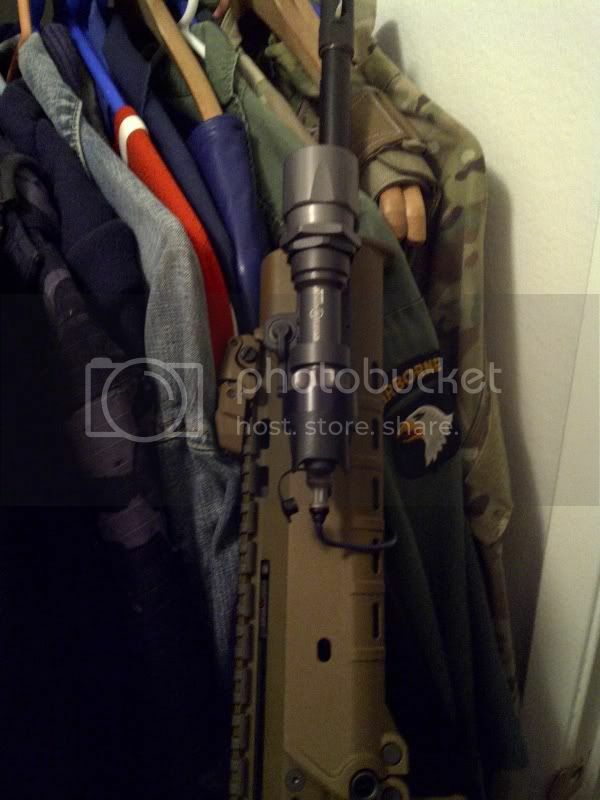 Please post pictures of your weapon mounted light/flashlight on your ACR. 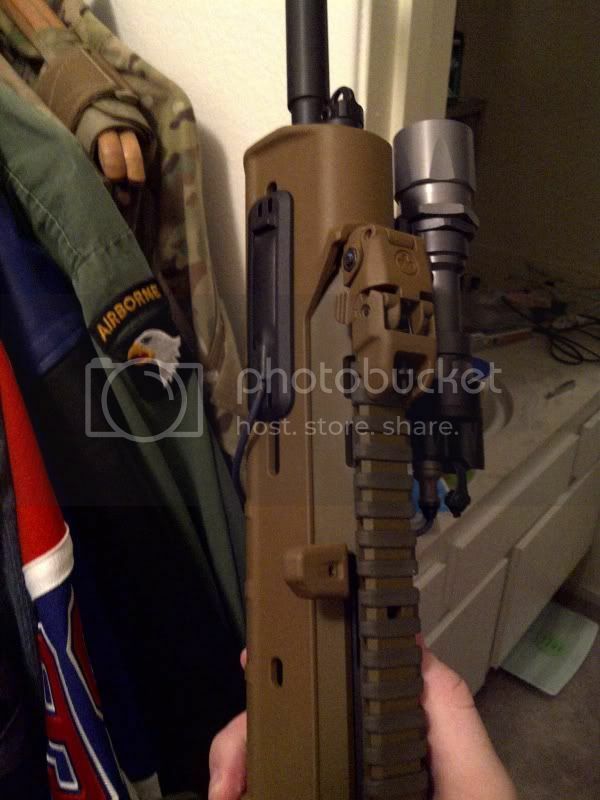 Here are pictures of my Surefire X300 LED weapon light on my ACR. Re: Show us your lights on your ACR! I love it! How much do they run? I might get one. How do you work the flashlight? They retail for $249. The switch is being the light housing. I can flip the switch up or down to turn on. Just make sure it's good and reliable. I run the X300 on a pistol and it's great. One could also run a Scout light setup for a similiar cost. Surefire M951XM07 with ARMS mount plus the MOE illumination kit. Ill post a pic this afternoon. At the sushi bar right now.